The Indian Premier League (IPL) 2018 has entered its business end and teams are still fighting it out to make it to the playoffs. Only two teams, Chennai Super Kings and Sunrisers Hyderabad, have made the cut so far. Till now, only one team has been eliminated in the form of Delhi Daredevils. The rest five franchises are still in the race and it will take the weekend for them to know who can make it intensifying the battle for the playoffs. The star-studded sides, Mumbai Indians and Royal Challengers Bangalore, have found the swagger needed to succeed in IPL. After being in a difficult situation, they fought back hard in winning recent games to keep their chances to qualify alive. Mumbai, with 12 points are fourth in the table with RCB a place below due to lower NRR. Third place Kolkata Knight Riders is in the mix too and a win in the final match will guarantee them a qualification. 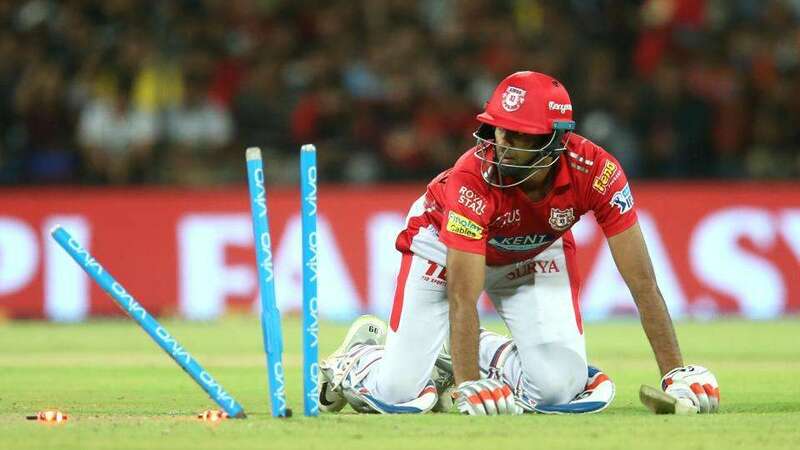 Meanwhile, Rajasthan Royals and Kings XI Punjab too have chances and will be dependent on results and Net Run-rates to get past the line which leaves plenty to watch out for. Which teams will make it and how? Get all the information here and the possible scenarios. The Eastern giants are currently in the third position with an NRR of -0.096. They face Sunrisers in their final game away in Hyderabad. After having won their last game, KKR will seek momentum to stop Kane Williamson and Co. The possible scenario for KKR is to win the last game and qualify in 3rd place. They will end up with 16 points. Now, what if they lose? These could be the situations on offer. If Kolkata lose against Hyderabad, then they will need RCB to lose against RR. If MI win their final game and RCB lose, then KKR’s fate will hang on NRR directly against RR. A better NRR could see them finish fourth. They were in a desperate situation in IPL 2018 until KKR came their way. Two superb victories ensured Mumbai were kicking and alive once again. The win against KXIP in match number 50 was a stellar effort and that brings them back in contention. The possible scenario for MI is to win the last game. They will end up with 14 points and be ahead of RCB on NRR. What if they lose? These could be the situations on offer. MI is currently in 4th position with an NRR of +0.384. If MI beat DD and KKR lose to SRH, then Mumbai will finish third given NRR. If KKR lose and RCB win against RR, then Bangalore will go through alongside MI. If RCB lose, and DD beat MI, then KKR and RR will qualify. Like Mumbai, Virat Kohli’s men also find themselves in a similar position in the race for playoffs. A win against SRH has put RCB in the map and there will be plenty at stake in their final league game. RCB have peaked at the end of the season and have notched three successive wins. For RCB, besides having the need to win their final game, they also need to win big. They are on fifth place with a NRR of +0.264. These are the situations for RCB. If RCB beat RR, then the latter will be knocked out. RCB would then finish with 14 points and have a healthy positive Net Run Rate. If KKR win and finish third, then the 4th place fight will be between RCB and MI, provided Mumbai beat DD. Net RR will come to play here. They have a clear knockout battle with RCB. The chances for RR are very slim, but they can spring a surprise against in-form Kohli’s troops. RR are currently sixth and have same points as MI and RCB. But it is their NRR of -0.399 that is the cause of concern. So what do they need to do? RR needs to beat RCB to finish on 14 points. If MI lose to DD, then RR could go alongside KKR to the play-offs. If MI win and KKR win, then RR will get knocked out no matter what their result is. If MI win and KKR lose, then NRR will come to play for RR against KKR. They are in a dismal situation and it is unlikely they will make it. But there is a slight ray of hope. KXIP have lost four matches in a row and are on the seventh position with an NRR of -0.490. So these are the likely scenarios for Punjab. KXIP need to beat CSK in their final game and finish on 14 points. They also need MI and RCB to lose. If KKR wins, then KXIP’s battle will be with Royals (NRR), provided Rajasthan beat RCB.